This apron Womens full coverage is longer than most for full coverage. It has a bib neck so no bothersome neck ties. The self fabric waist ties are quality quilt cotton and long. 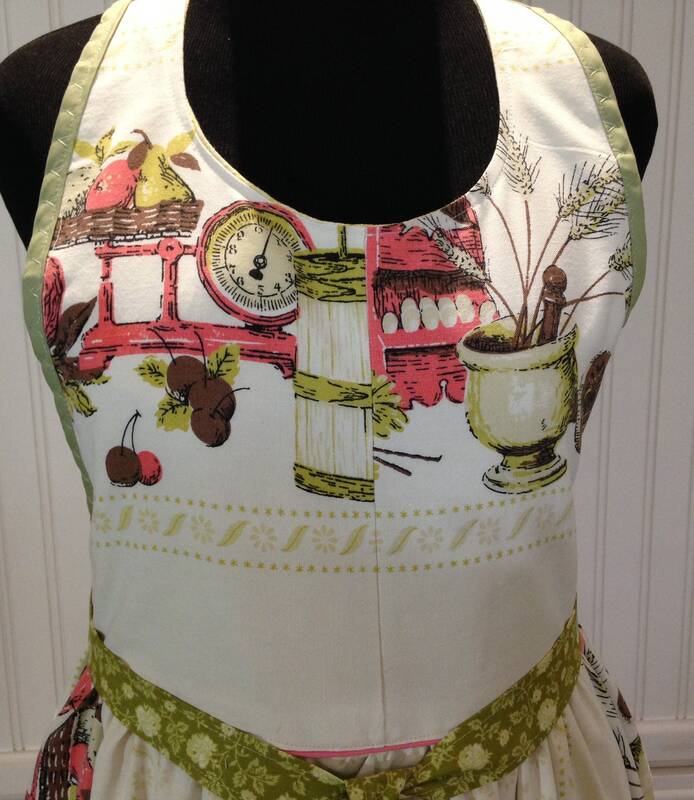 The body of the apron is made from three beautiful vintage tablecloths that I have married to make this reversible full apron. The beauty of this often washed cotton material is that it has retained its color and at the same time gained the softness of a warm hug. 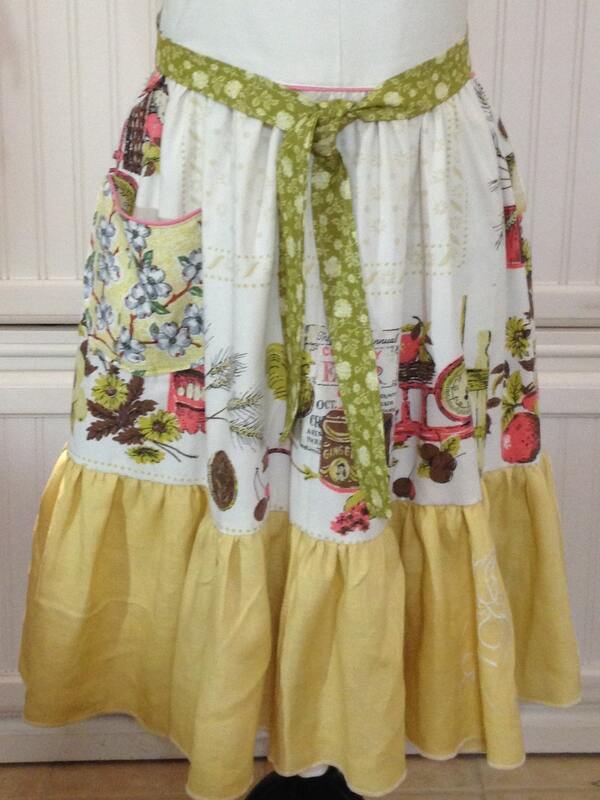 One apron is a dogwood print, another is roosters and vintage crockery, with the final apron a linen yellow gold for the long ruffle. 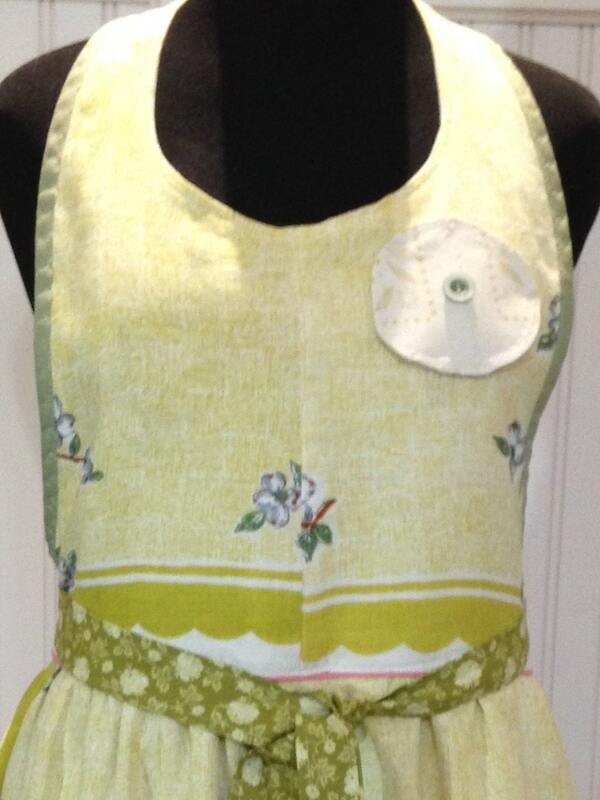 The beauty of these prints is off set by pink peach piping trim and soft sage green bias binding on the bodice. The hem has large ruffles and both sides have a large pocket. 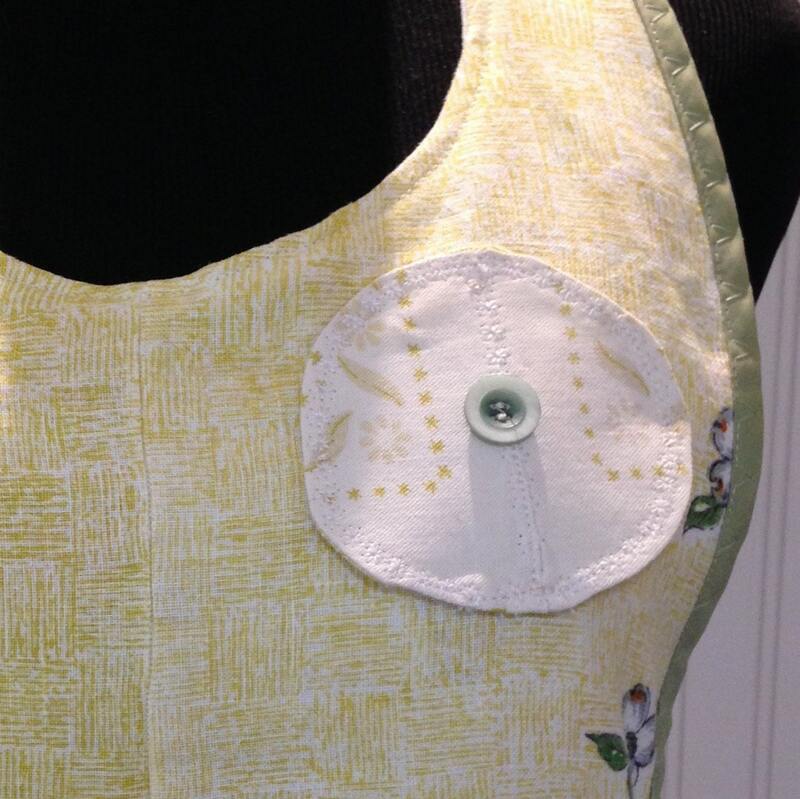 There is even a small shabby chic round fabric button flower on one side. The pattern used for this is from sew4home and is called the Farm Girl Vintage Style. 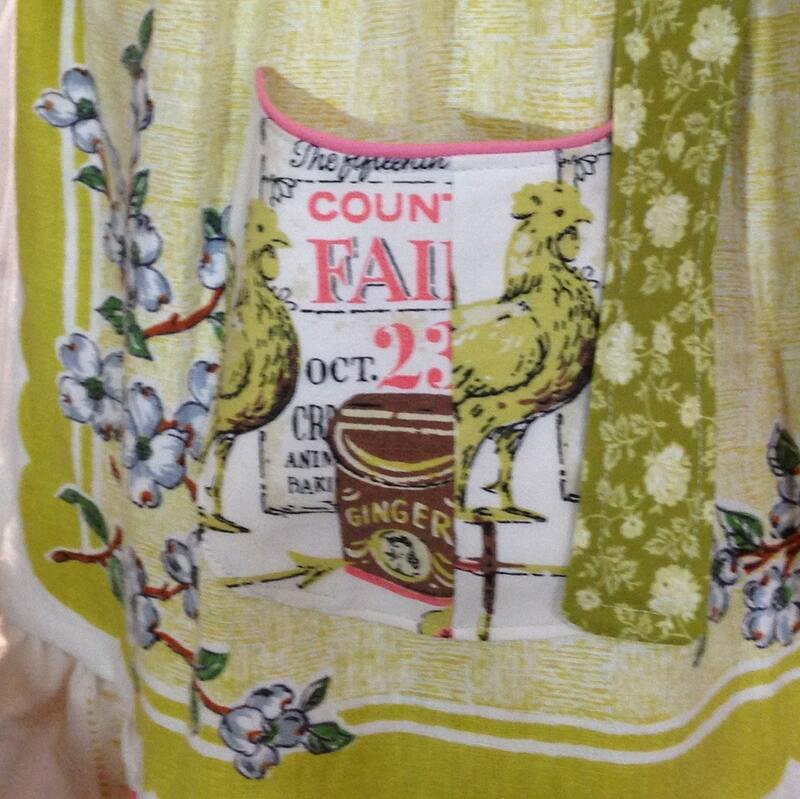 The editor Liz JohnsOn had the following to say about this apron and I completely agree. 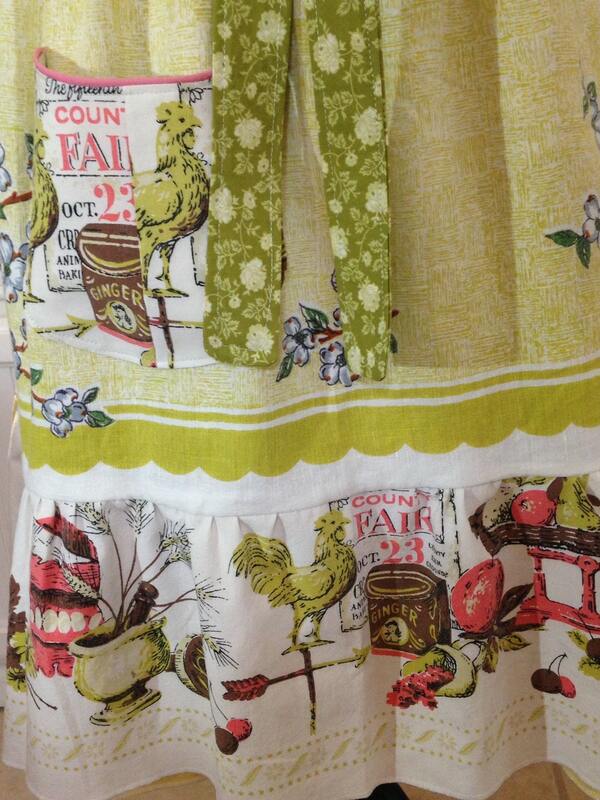 "Sometimes our aprons are frilly, fun, and pretty enough to work as an "outfit-topper-offer." Today we have a hard-working, full- coverage apron built to get the job done. Best yet - it's still frilly, fun and pretty! We've done it up in vintage farm girl style with an over-the-head bib; a wide sash that ties low at the waist for a long, comfy look; and a deep bottom ruffle. 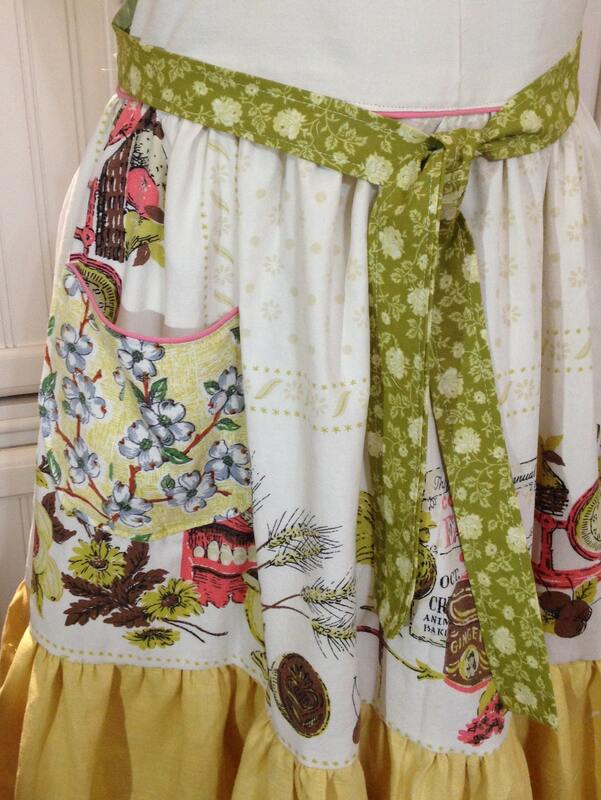 It's completely reversible..."
The olive green and gold colors are featured in different shades on both the vintage tablecloths and the quilt cotton, making thus the perfect Fall apron. All vintage linens are carefully washed and stains gently removed. 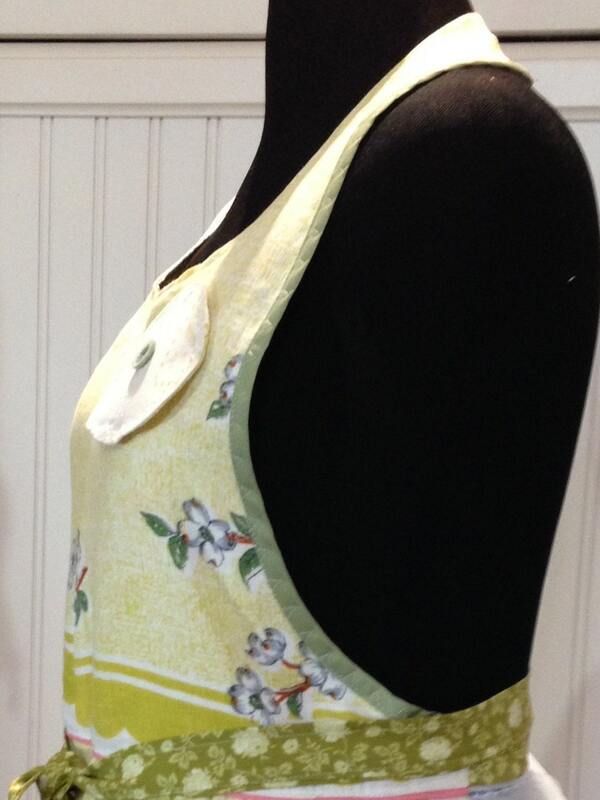 No fully intact unblemished vintage linens were harmed in making these aprons.